Interesting, I commented on this NSS blog post as a displeased NSS member, and am still “awaiting moderation” 26 hours later. I've noticed another comment that was apparently approved just a couple of hours ago, however. What part of what she said isn't true? Too bad telling the truth is equated with being “anti-NASA.” It is manifestly true than no U.S. president of either party has been seriously interested in NASA since we beat the Russians in the Great Cosmic Race. It is manifestly true that the U.S. space budget has flatlined since then. It is manifestly true that this new president will not buck that trend, and NASA has to learn to live with this reality. 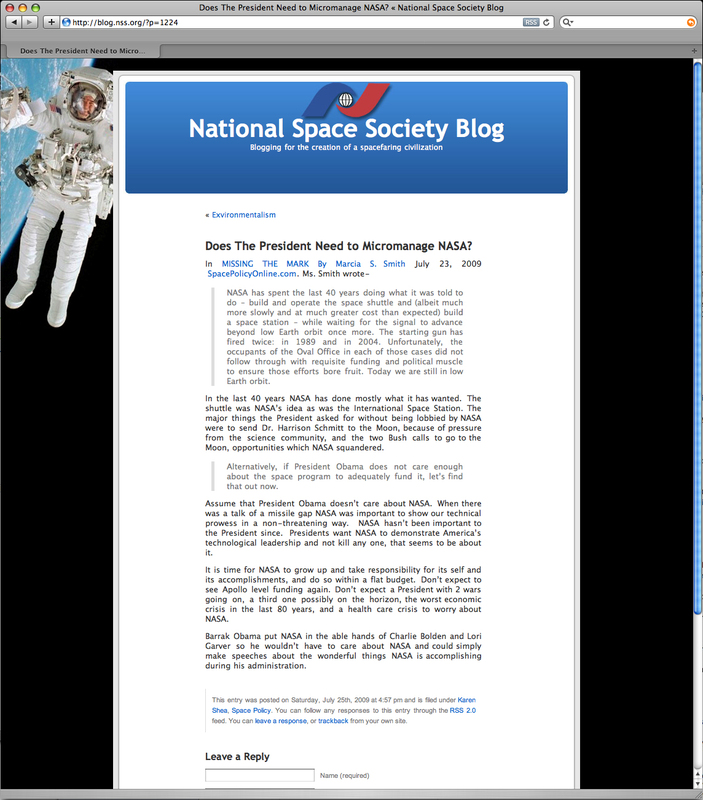 It is manifestly true that NASA has not learned how to do so.